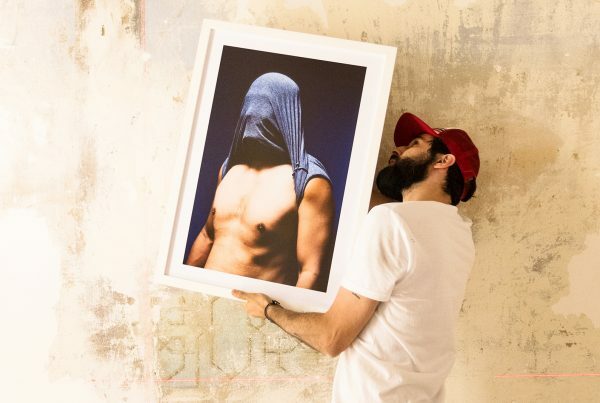 Thanks to the collaboration with Canon and Center Chrome, Cortona On the Move is now the very first photography festival printing all its exhibition prints on-site. We got a sneak peek of where the magic happens.. Among the new features of Cortona On the Move 2018, there is one which will especially appeal to photographic printing fans. 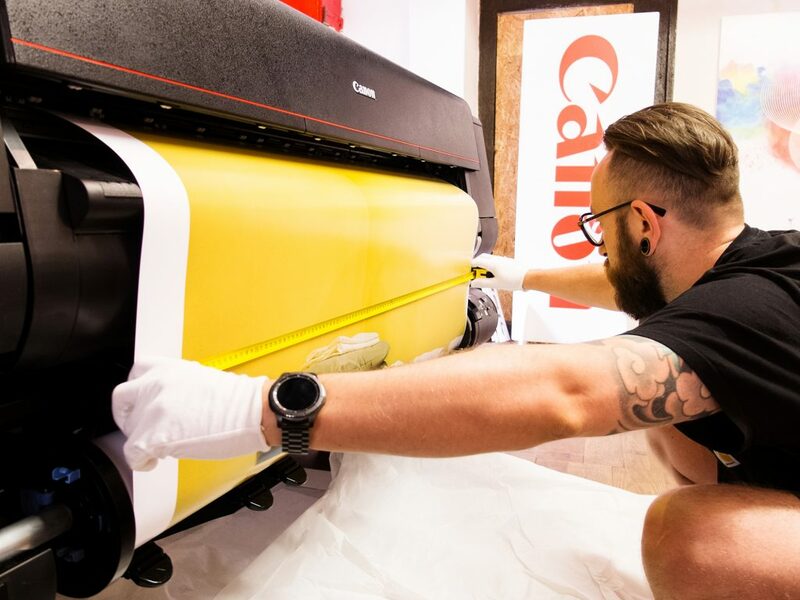 Thanks to the partnership with two established players in the photography scene,Canon Italy and Center Chrome, Cortona On the Move Print Lab was launched on Thursday 7 June 2018. 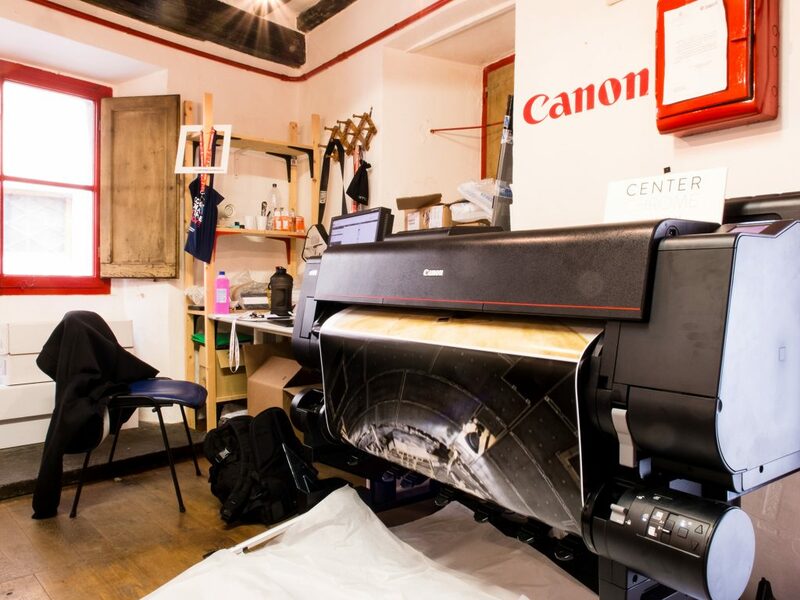 It consists of a temporary, creative printing lab which is currently busy printing all the photographs featured in this year’s edition of the festival. We swung by to have a look around. The Print Lab was set up in Via Roma 31, deep in the heart of Cortona, in an ancient building which used to be home of On The Move association; the place will now host the fine art print lab for the upcoming month. 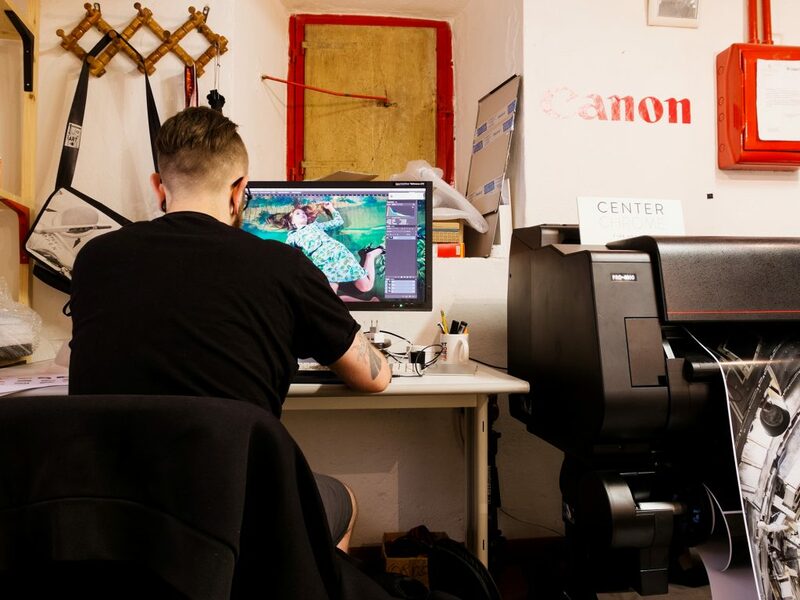 Walking in the Print Lab, one immediately notices the very heart of the lab: the imagePROGRAF PR0-4000 Canon printer, a large format printer especially designed for photographic and fine art printing, capable of producing quality prints with bright colours up to a 44 inch size. 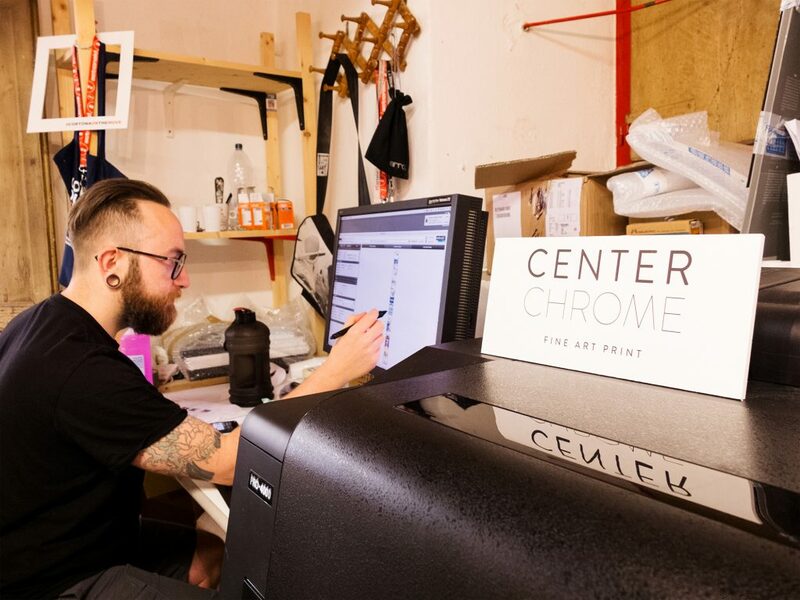 The Florence-based fine art print lab Center Chrome is in charge of running Canon’s professional tools. They lent their skills to set up a temporary print lab which encapsulates the many functionalities of their 600m2 Florence lab. While visiting, we met Center Chrome staff technician Luca, who was busy printing out “Under Pressure” by Guia Besana. Luca showed us the tools for the job: the workstation where the printing software is installed, which works as a soft proofing and control station as well, thanks to the professionally calibrated monitor. 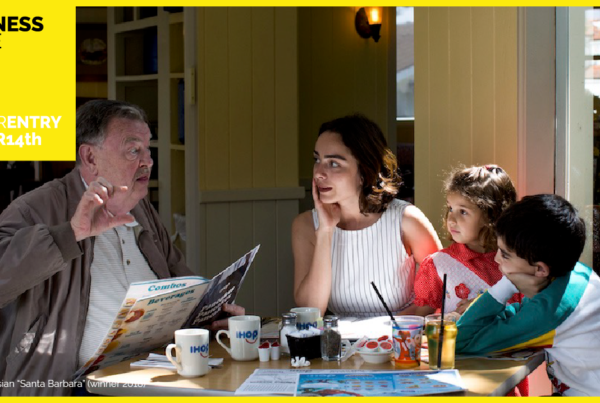 Before printing, each image is checked on screen to make sure the colour range and the format are right; corrections are made according to the artists and the organisers. Massimo Ceravolo – Canon Italy’s Professional Imaging Group and Consumer Marketing director – told us “We are pleased to renew a partnership with such an esteemed festival, to support photography and multimedia culture and to uphold our engagement in promoting art and culture” . 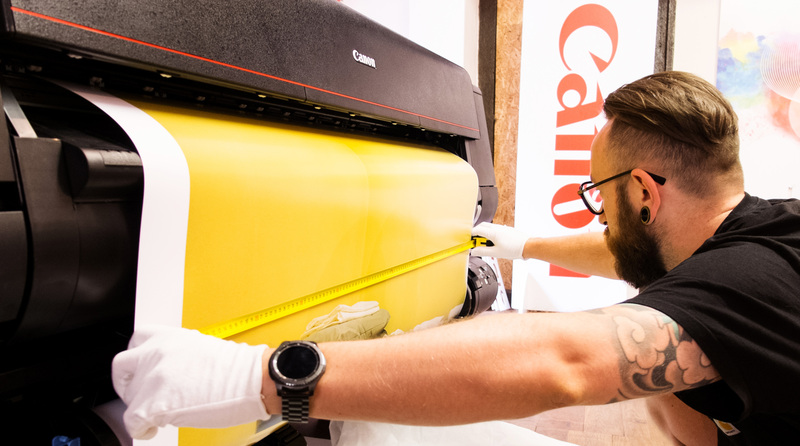 In fact, the Print Lab is made possible thanks to Canon’s innovation, tech and materials. For the second year running, Canon is Digital Imaging Partner of Cortona On the Move. Between July 12 and September 30, a range of initiatives backed by Canon will take place in the beautiful Tuscan setting. Among those we mention Arena – Video and Beyond, a new category of the festival that presents experimental video, installations and multiplatform work, Premio Canon Giovani Fotografi and COTM Summer School, which will host workshops with prominent figures of contemporary photography in collaboration with Canon Academy.